If you are planning to buy your next investment property, it’s possible to use the equity in your home or other investment properties to help you do so. You can gain equity by your property increasing in value, whether that is through capital growth or renovation, or paying off your home loan. Check out this beginners guide to using equity to learn more. In order to use equity to purchase investment property, you initially need to know how much equity you may have available. This comes down to a quick calculation. You can work this out in a number of ways. They include getting a valuation carried out by a registered valuer, carrying out research of what comparable properties have sold for, or doing an online valuation estimate. Real Estate Investar members can use our My Valuer and My Research tools, to perform accurate market valuation estimates of any residential property 24/7, and check vital research data including on the market and sales history, and comparable sales. 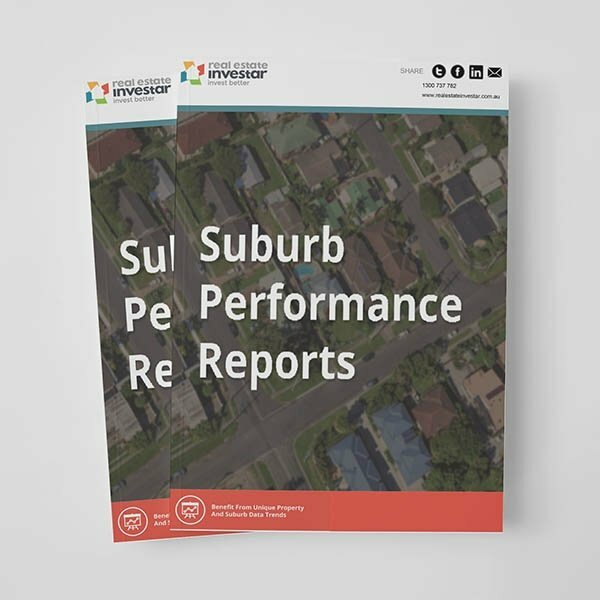 Click here to learn more about these property investment research and valuation tools. If your home is valued at $500,000 and there is $150,000 still owing on the mortgage, your total equity is $350,000. Existing borrowings - represented by the blue section of diagram 1. If your home is worth $500,000 and you have $150,000 remaining on your loan, your existing borrowings would represent 30% of your home value. 20% equity - Represented by the orange section of your home. This is the safety net that lending institutions like to have as their safeguard against the borrowings on your home. Many lending institutions would not let you use this amount unless you want to pay LMI (Lenders Mortgage Insurance). In this example 20% equity of $500,000 is $100,000. Lenders mortgage insurance protects the lender in the event of a customer defaulting on a home loan. Whenever a lender loans a customer money for a property, there is a risk that they wont get the money back if the customer cannot afford the repayments. Although the lender has the property as security, there is a chance that the value of the property could decline, so it would not cover the value of the loan if the lender had to sell it. LMI covers the lender in this eventuality. If you are planning on using equity to buy property, you can potentially access 80% of your total equity as security. 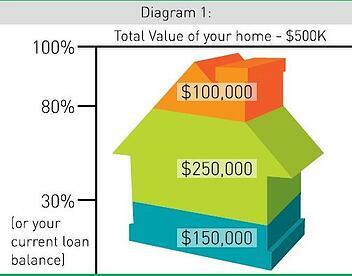 In this example, the green section of diagram 1 represents the usable equity of $250,000. You may have equity in your properties, but that does not necessarily mean you can borrow against it. Your lender will take into account your income, number of dependents, any other debts you have a range of other items to decide the amount of equity you can access. A popular way to structure your home equity loan is through a line of credit. You’ll be approved with an amount of credit based on your equity and you’ll only pay interest on the portion you have spent. Another benefit is that you can combine this with an offset account. Any savings placed into the offset account will reduce the interest on your loan. For example, if your loan is for $600,000 but you have $50,000 of savings in your offset account, you’ll only be paying interest on $550,000. Funds from the offset account can be withdrawn as needed. An alternative to a cash deposit for borrowers who have existing equity in property and want to use a bond/guarantee rather than a cash deposit. Another way using equity to purchase investment property is to cross collateralise. 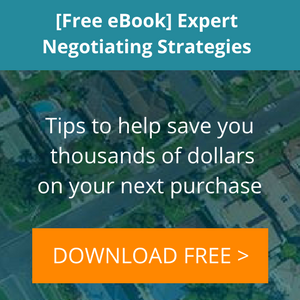 This is a high risk strategy that involves using the equity on your existing property as security for loans on both properties. So if you cannot service the debt on one of the properties, the lender could repossess both of them. If you don’t have the required amount of equity you need to purchase a new property, another option is to use some equity towards renovations to increase your existing properties value. In this scenario, it can also be possible to secure the funding based upon the projected value of the property post renovation. Once you have worked out your available equity, it is time to consider your loan options. Whether other lenders could offer you a better service based on your current portfolio and loan structure. If you decide to go ahead and access some of your equity, you will need to see if it will result in any extra fees and charges - for example, lenders mortgage insurance or associated fees if you decide to switch to another lender. Once you have decided on the best option, it is time to contact a lender and get the process started. Using a mortgage broker has many benefits for you as a property investor because they have access to many different lenders and loan products via their lending panel and can save you lots of time by doing the research and applying for your next property investment loan on your behalf. For many property investors, getting the lowest interest rate when sourcing the property investment finance, can become their only focus. Property investment should be a long-term wealth creation strategy, so always be aware of low honeymoon rates that some property investment loans come with, which roll over into higher rates after a given period.